e BIG Diamond Specialists Choose from our extensive diamond range in store or we have access to 1,000’s of diamonds worldwide to guarantee you the best prices. *All diamonds are available at the time of printing. Prices may differ depending on the AUD price. Copyright © 2015 Joseph Ribkoﬀ Inc. All rights reserved. Any reproduction and/or use of the Joseph Ribkoﬀ logo for commercial or promotional purposes is forbidden without the written authorization of Joseph Ribkoﬀ Inc.
was busying myself getting ready for an event the other week with a very dear friend — who I had known since those traditionally awkward pre-teen years — and I fondly recalled all those times we had preened and prepared ourselves for a night out before. Granted, those times had involved more casual and age-appropriate venues, but the process was the same. Well, except for a few things… There was still fussing over what we were going to wear (I’d like to think my younger self would be impressed with the better track record of fashion faux pas in her future), but we were more decisive — the clothes worked for us, not the other way around. As for makeup? It actually matched our skin tones! I’ve long since come to the conclusion there was no point trying to ‘hide’ my freckles (with so many, my foundation would need to be a centimetre thick not to see them). The finishing touches and accessories also showed a change; they were unique to us, represented different moments in our lives and were chosen because they were ‘us’ not because it was what everyone wore. Of course, this comes with growing up and being more comfortable in your own skin, but sometimes we still need to be reminded. While we can strive to love ourselves, it’s something we all grapple with daily whilst being confronted with a deluge of what ‘perfect’ is. But ‘perfection’ is in the imperfections and you are who you are. Just like when it comes to natural beauty, I take a cheetah’s approach: I don’t try to change my spots. Bring the whole family for a day of FUN! Relax on the lawns with a gourmet picnic (No BYO), games and prizes for the kids, reptile show, jumping castle and a MEGA Egg Hunt. So, Get it girls by now you have correctly guessed that this issue is about embracing yourself and loving the skin you’re in. I hope this issue gives you some time to reflect and celebrate what makes you you. There’s plenty of heartwarming, interesting, shocking, and inspiring pages ahead, so I’d better let you get going. Happy reading! There’ll be a visit from the Easter Bunny too! Publishers Indemnity: Those who make advertising placements and/or supply copy material or editorial submissions to Get it Magazine, undertake to ensure that all such material does not infringe any copyright, trademark, defamation, libel, slander or title, breach of confidence, does not contain anything obscene or indecent, or does not infringe the Trade Practices Act or other laws, regulations or statutes. Further to the above mentioned these persons agree to indemnify the publisher and/or its agents against any investigations, claims or judgements. In this magazine we have listed a range of products, prices and stores in across Australia and online. Although prices are correct at the time of printing, they are indicative only as prices and stock may vary from store to store. All prices were provided to Get it Magazine by relevant retailers and suppliers. We advise you to contact the relevant retailers for further information about price and availability. 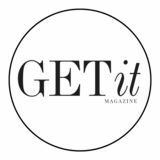 Get it Magazine does not accept any responsibility for price variations, availability or quality of products. *Pre-Payment required at time of booking. No refunds after 15th April 2019. Additional per person rates available on request. Strictly NO BYO food or beverage. "Just have fun, laugh and keep applying that lipstick!" "Be with a man who ruins your lipstick, not your mascara..."
New season looks in store now! Marriage or de facto relationships - most of us do them, but not very well. A happy, healthy long-term de facto relationship or marriage is the goal that most want, but statistically most neglect. After the fairy tale wedding, starts the investment in the ‘happily ever after’. Talking Marriage™ monthly workshops are a stimulating and inspiring experience coaching you to make your closest relationship good, better or the best.We meet for three hours in a tranquil and relaxing Gold Coast venue on Saturday afternoons. When your relationship thrives, you thrive. For full information visit us at: www.instantia.com.au and select the “Plans” tab. Subscribe to Get it Magazine, the Gold Coast’s favourite monthly magazine. to receive 12 exciting issues for the year. Enjoy a premium shopping experience! girly chitchat. Then halfway through dinner, without so much as a trigger warning, the conversation went straight down a self-judgemental gutter. I was horrified. The girls all had something negative to say about themselves, from their chubby ankles to their uneven skin tone and even the frizzy texture of their hair. And on cue, each of us jumped in to knock back each comment as ridiculous. It was like watching a game of tennis with a ball filled with self-criticism. Actually, maybe a little more like ping pong — tennis has way too much running, and you can’t hold a martini glass and bat the ball at the same time (or is it ‘hit’ the ball? Well, whatever one does with a tennis racquet). It fast became a fierce competition of who had the most unfortunate body, face, hair, skin, elbows and so forth. Sitting in front of me were a bunch of beautiful, intelligent, sweet-hearted women, all ‘hating’ on themselves. I was quickly developing whiplash watching the proverbial ball fly back and forth. Sitting in polite silence — like a well-behaved spectator does - I was waiting for an umpire to call out game, set, match! It upset me that we, as women, find it okay to knock ourselves off our own perch. Damn it girls! We need to admire ourselves in the mirror and find things that we like, rather than things that could do with a little improvement. No one is perfect and we just need to learn that we are beautiful exactly as we are. Full of martinis and as nominated team leader of the night (aka the umpire), I could not let this hogwash continue any further, I had had enough, and the night was still young… So I pulled out my whistle and blew it — hard! Time out — I am creating a new rule. Any person who ‘doth speaketh’ against themselves shall buy the next round of exceedingly expensive cocktails. I had called ‘match’ on the game. The tennis court fell into a hush… and then just like that, the party got started again. The girls forgot about their pimples, ugly toes, chubby bits and frizzy hair and just had fun — like girls are supposed to! Cyndi Lauper once sang that, ‘girls just wanna have fun’… and I just wanna have another martini please! OPENING HOURS Monday to Friday 9.30am to 5.00pm Saturday 9.00am to 3.00pm Sundays and public holidays closed. ’m sure you know by now that Instagram is the app of the era: the home of the humble selfie and the birthplace of the flattering filter. It has never been easier for Aunty Sharon to show off all the memories made on her spontaneous solo trip to Italy, or for your sister-in-law to brag about her platter making skills at her monthly girls’ night. However, posts aren’t the only way we can keep up to date with the highlights of our friends and family’s busy lives, and maybe brag about ours a little bit in the process. This is because Instagram has decided to make our lives a little more public (I know, I didn’t think it was possible either) by introducing a feature called ‘Your Story,’ and I’m going to tell you exactly why you need to get sharing. So settle in kids, it’s story time! the opportunity to be more interactive with what you post. You can even add interactive polls to your story, where people can vote for what you should order for dessert or what you should wear out that night (if you’re game enough to ask!). Your friends can reply to your story via Emoji stickers, and others can even ask questions. Responding is optional of course you are busy living your best life after all. For those a little bit more experienced in the world of Instagram, taking your story to the next level is possible and it has never been easier to make your life look so, well, beautiful! With the introduction of Instagram Stories has come the world of Story Apps, which help you to design visually appealing content for your followers. Here are a few of my personal favourites that are used by top bloggers and influencers to make their lives look luxurious at all times (even if they are faking it!). The first app that is a must for adding a bit of organisation and classiness to your stories is Unfold. The old film feature is a personal favourite and adds a hint of creativity to your daily snaps. Next is an app called Snow, which has hundreds of quirky edits to choose from so that your story can look fresh and unique at all times. Last but not least, an ideal app for businesses wanting to advertise and promote through their story is Jane. With captivating layouts, there is a style and font for all of your business needs. Making your life picture perfect has never been easier! When you arrive at your death, what will you wish you had done differently? Get it’s Hayley Bogaard explores our most common regrets want you to close your eyes. Let your life go for just a moment. Now imagine you’re at your own funeral. It’s a little morbid, I know, but stay with me. You move through the congregation of people. You find your best friend from high school. She’s wearing dark sunglasses but you can see that she’s been crying. Your heart drops when you realise you never told her how beautiful she truly is. You keep moving and spot a group of friends from your last job and a small lump of guilt rises in your throat. The last time they asked you out for drinks you blew them off. You wish you hadn’t. You move towards the front of the group, admiring the beautiful white peonies that adorn the venue; your favourite flower. Your mum always knew. And she stands just off to the side, lost in memories of her little girl. If only you could have had one more cooking lesson by her side. And then you spot your partner, hand in hand with your children. He is quiet, politely talking to one of your aunts. You can see he is broken. His face is flushed but he hides it for your children’s sake. They are silent, taking in the scene around them. Their faces are stained with rivers of tears. Your stomach drops. You should have tucked them into bed more often, rather than stayed late in the office. You should have written a love letter to your husband, rather than another email to your boss. Regret is a bitter pill to swallow. We all have them. But we can learn from those that have walked this dark path before us, so when we do arrive at our own funeral it is late, in love and perhaps just a little drunk. “You should have tucked them into bed more often, ratherBeauty than$7, Mirror, kmart.com.au stayed late in the office. You should have written a love letter to your husband, rather than another email to your boss.” they had had the courage to express how they truly felt, rather than supressing those emotions to please others. Instead, they lived with resentment, bitterness and mediocrity. It’s never easy to rock the boat. But learn to say no. Learn to say ‘I love you’. Learn the value of your opinion. Be courageous, be brave and embrace strength in vulnerability. I wish I had stayed in touch with people Life gets in the way, I know. Work happens. Family happens. Life happens. And somewhere along the way, we lose touch with people who are actually important to us. We blame time, but really, it’s no excuse. So many people at the end of their lives realise the true value of friendship, when, tragically, it’s too late. People are the most valuable investment we will ever make.They deserve our time, energy and effort. A lunch with your best friend, a call to a work colleague, a quick text message to remind someone you’re thinking of them. When you’re walking through the crowd at your own funeral, you should be looking around at the familiar faces with gratefulness and loving memories, not regrets. Fun for the family Y ou r child re n's work s of a rt will be on dis p la y in st ore! Never fear, you can join The Greener Grocer for some school holiday fun t’s school holiday time again, and the kids will be looking for something fun to do. The Greener Grocer at Isle of Capri have created a ‘children’s hub’ with their new custom-built cubby house and colouring area. While you’re shopping for all of your fresh food and grocery needs, your little ones can come and colour in until their heart’s content. Special Easter colour sheets and pencils will be provided. Your children’s works of art will be on display in store, and they can enter the draw to win a fabulous Easter prize of an inflatable bunny and Easter treats! The team at The Greener Grocer focus on quality fresh produce, competitively priced supermarket items and most of all, friendly personal service. I was the victim of a manipulator and I was being abused emotionally.This person was gas lighting or love bombing me.This person is commonly known as someone with narcissistic personality disorder.These kind of people can be present in relationships, friendships and in workplaces. I don’t blame this person nor do I hold onto any anger toward them as much as they hurt me. Most of the time people like this grow up this way and learn how to get things they want when they are told “no” as a child.The most important thing I did for myself in this situation was put myself first when I wasn’t getting treated properly. I was very lucky that I saw the signs early and I took myself out of the situation when I could. Now I feel strong that I took back my control and I am now more aware of this kind of behavior. I always take everything I go through in life as learning whether it’s a good or bad circumstance.The most important thing I did was question things when they didn't feel right and eventually follow my gut feeling. No one ever deserves to be someone’s puppet, to be abused in any form or to be manipulated. Stand up for yourself when you believe you are right. When things don’t quite feel right question it, talk to a professional, get advice from friends, do your research.The most important thing you can do is detach yourself from these kind of people, even if it’s hard. his year, there will be more small businesses showcasing, along with industry collaborations, at the biggest pop-up store in the region. ‘’Previous expos have generated millions of dollars. The marketplace is a great place to buy from local small business owners, and to collect the latest industry information,” Paula Brand (event organiser) said. “Businesses can struggle to keep abreast of technological advances. The Technology Hub will showcase the latest in technologies, software and hardware available; which is vital in assisting small business owners,” Paula explained. Networking over lunch is a highlight of the expo; “We have four new food trucks and wonderful local entertainment. Our events are known to be a celebration,” Paula added. “Small businesses do better business when they band together and have a strong voice. The expo’s theme reflects this,” Paula concluded. Visit goldcoastbusinessexpo.eventbrite.com.au for free tickets and more information. Dr Tim O’Dowd is an IVF Specialist, Gynaecologist, Obstetrician, and Nutritionist, with over 44 years' experience. Dr Peta Stapleton is a Clinical & Health Psychologist with 20 years' experience, and currently an Associate Professor in Psychology at Bond University. Dr Soraya Felix is a Board-Certified General Specialist, Molecular Biologist, Pharmacologist, and Clinical Chemist. She completed 7 years of postgraduate research in Pharmacology and has over 28 years' of experience. Important trials are taking place, and studies are being put forward from Gold Coast's sunkissed shores; providing vital findings. game plan is to break even on the vaccines themselves but make a bank load on treating the chronic problems they cause! Let’s forget the medical side for one moment and consider this from a business point of view. This would be a strategy that would be literally laughed out of the secret big pharmaceutical’s boardroom because they know that vaccines don’t cause chronic problems. The vaccines prevent it. It just doesn’t make any sense. The diseases we are being vaccinated against don’t exist any more You’re absolutely right. And be assured, it’s not because they just had enough one-day, packed up their suitcase and disappeared. It’s down to one very simple reason that begins with the letter V…yes, you guessed it: vaccinations. There are a number of preventable diseases that are very rare in our society. This is because we have been collectively vaccinating against them for decades. This doesn’t mean we can rest on our proverbial laurels. While these diseases are not prevalent in our society, they are more rampant in other parts of the world and travellers can unknowingly bring these diseases home with them. This is where the concept of herd immunity becomes so imperative. Herd immunity is a form of indirect protection from infectious disease that occurs when the majority of the population is immune, providing a measure of protection to those who aren’t. For the few that are genuinely allergic or unable to be vaccinated, this measure of protection is vital. Love YOUR SMILE At The White Bite we are committed to taking care of your smile and helping you create the smile that you have always wanted. We have both general and cosmetic dentists on board to take care of your general dental maintenance or your smile makeover journey. There are several general and cosmetic treatments available that are designed to improve the appearance of your smile, from simple procedures such as Zoom teeth whitening, through to minimally invasive veneers! The White Bite uses Philips Zoom In-Chair teeth whitening, which is performed at the surgery in a single 75-minute appointment. The whitening process consists of placing high strength bleach on the teeth under the LED heat lamp for three 15-minute cycles. You will also have moulds taken on the day, which will provide you with custom trays to take home with you if you ever wish to touch up bleaching at home. Free Online Consult Get started on your smile journey by submitting a free online consultation today! Head to our website thewhitebite.com.au to use the Free Online Consultation tool. Once submitted, we will look over your case and provide you with a treatment recommendation. Alternatively, feel free to contact the clinic on (07) 5579 9333 if you have any questions about any of our treatments. F ierce patterns a nd bold colou rs captu red her essence a nd she f lirted with the bou nda ries of fe mininity. mineral makeup designed for women of all ages and skin types. Our products offer a healthy alternative to traditional cosmetics. We utilise quality, effective, natural actives, extracts, oils, vitamins and minerals in all of our cosmetics to promote healthy skin and a beautiful complexion. Tip: These shades look beautiful when used individually or paired together to create a romantic, feminine look. Tip: Apply in feathery, circular motions to the entire face, using a kabuki brush. To build on the coverage, gradually apply in thin layers. Tip: Equip yourself with these everyday essentials to master your makeup and create the look you desire. Tip: Apply over your favourite shade of Natural Vegan Lipstick for a dewy, plump finish. Tip: Lightly dust over the lids for a natural day time finish, or apply on the outer corner of the eye socket to add shape and definition. Tip: Pump a pea size amount into the palm of your hand and apply directly to the face. You can gradually build up the coverage by applying the Tinted Earth Cream in thin layers. 6 Tip: Apply just under the cheek bones, then blend upwards onto the cheeks for a subtle golden glow and soft contour. Tip: Apply over the lips for a smooth and even finish. Keep your pout perky by reapplying throughout the day as required. Tip: Swirl the brush around in the product to collect the powder. Apply in sweeping or circular motions to the face for an even coverage. Tip: Lightweight, durable and perfect to keep all your favourite products in one pretty place. Laugh lines, creases, crow’s feet — call them what you want, it’s time to iron out those wrinkles! ver since human beings discovered reflective surfaces and women realised that their dewy, plump, youthful appearance was not – well - permanent, we’ve been in search of the elusive fountain of youth. Call them what you will – laugh lines, creases, crow’s feet – it doesn’t change the reality of what you’re dealing with: wrinkles. The wonders of modern technology has brought us a plethora of options to poke, inject, laser and slice and dice our wrinkles away, one of the most popular – and less invasive – options are over-the-counter anti-wrinkle creams. We all know them and we’ve all seen the advertising campaigns promising more youthful, radiant skin. But how do they work? While they may not be the miracle facelift in a bottle that you’re wishing for, many do contain active ingredients can produce visible results – no needles necessary! LAUGH LINES Retinol One of the most common antiwrinkle ingredients, retinol is perhaps the holy grail of wrinkleprevention. When applied topically, this vitamin A derivative stimulates collagen production and cell turnover, which reduces the appearance of fine lines, evens out complexion, and unclogs pores. Vitamin C This powerhouse vitamin is not just for fighting off the common cold! It also helps protect the skin from sun damage, helping to prevent wrinkles developing. Sometimes the best defence is a good offence! We dive into the world of health and beauty and look at what’s hot, and what’s certainly not! But imagine if you didn’t have access to something as simple as pads and tampons? Suddenly, it’s not so easy. homelessness and poverty. With over 85,000 women needing help this year alone, Chempro Chemist is proud to be a donation point for Share the Dignity. You can visit any Chempro Chemist this April to donate sanitary items to women in need because let’s face it - periods are hard enough already. the flu fight water throughout the day. Additionally, multivitamins are also a great way to boost your body’s defence system! But perhaps your greatest defence against the flu is a flu shot. Flu vaccinations are available at selected Chempro Chemists and are quick, convenient, affordable and don’t require a script! So what are you waiting for? Play your best defence this flu season! WITH THE TEAM AT YOUR LOCAL There are over 85,000 women urgently needing our help this year. Your generosity will make a real difference to women who are struggling to meet the financial burden of having their period. o many people endlessly chase variety and fun with their exercise program. While I believe that for exercise to work long term you need to enjoy it, variety isn’t the only way to make exercising fun. Tricking your muscles and changing it up! I often hear people speak about tricking their muscles by doing a different exercise. When you hit a plateau, and you can no longer make any further progress with what you are doing, a change-up can work wonders. Problem is most people change it up long before they hit that plateau. If you are judging your workout by how sore you are getting, you are misinformed. Soreness is just the nerve endings feeling some pressure around micro-swelling that has been created by new movement. Soreness can be a good thing, but it is probably not an indicator of your progress. Progress is king When it comes to gauging the effectiveness of your workout the only metric that matters is progression. Did you improve (reps, weight, time) on your last workout? For that to be measured, you must repeat what you did last time. The progress may seem slow, but if you improve a little each week that will accumulate over a year or longer and you will see some incredible results. The name of the game is patience. One workout won't make much of a difference; it’s the accumulation of workouts that matters. The name of the game is patience. One workout won't make much of a difference; it’s the accumulation of workouts that matters. Example: for weight loss the primary driver of burning fat is diet, after that, getting stronger and fitter will help make sure your results last long term, then actually burning calories comes last. If you want to get stronger, you should be doing strength training; any more than ten reps of an exercise is getting away from strength training. For fitness, you need to raise your heart rate as high as safely possible and keep it there. Cardio intervals work best, but this is where cross-training can be useful if you work at a sufficiently high level. When it comes to burning fat, this is where low to moderate cardio comes in. Keeping your heart rate in the fat burning zone can be useful for this, for most people, that means around 120-140 beats per minute. tnam. They will visit Hanoi, Chau, Hue and Hoi An. Seeing world while gaining great life eriences, world perspective and wnie points on their resumes or versity applications? Now that’s ay to finish off Year 12! The fully-escorted adventure also see the Schoolies, after 8 s of volunteering, retreat to a ort in Hoi An Geri Vladeva - whenwomantravels.com a well earned before Your child will urning home. build projects for re is even the an ethnic minority ion for family community in the oin the trip mountains and cook, if you would a fun family feed and entertain a day where group of disabled can all enjoy and abandoned beach and children in Central rming town Hoi An with Vietnam. ir Schoolies. Call helloworld Hope Island w on 07 5530 8633 to book ur young adult’s spot on a y remarkable and rewarding oolies adventure. Go Your Own Way by Ben Groundwater (Hardie Grant) Inspired? We hope so! A helpful new guide was dropped on our desks recently, offering ‘hacks, tips and tricks to travel the world solo’. Go Your Own Way shares experience and insight on planning, how to make friends, how to stay safe, and how to call on your innate resourcefulness when travelling solo. The book captures those common questions and answers around ‘solo travel’: How do I get used to eating in restaurants alone? What if I get sick? How do I carry everything? Where should I stay? Getting to the good bit, author Ben Groundwater also covers top picks on the best places to start out exploring on your own. Whether Japan, Argentina, Germany, Vietnam or America take your fancy, there’s great inspiration in here for those of you thinking about taking an adventurous, life-changing leap this year. • Cook, feed and entertain a group of disabled and abandoned children in Central Vietnam. *Terms & Conditions apply, see in-store for more details. or many Australians, there is an intrinsic urge to flee the nest and make a mark in their chosen industries in big cities. However, community and seeking those opportunities is integral to professionals in any field. It’s all about creating opportunities for yourself too – just like Cassandra did when she interned locally, collaborated with Townville’s own designers to run an emerging designers’ store in the CBD and got involved with Townsville Fashion Festival. The lesson here? Soak up any knowledge you can about the industry. “Creativity is in my blood, with a lifelong love affinity for fashion set into my heart from the moment my grandmother taught me to sew on her old Singer machine. I have spent the majority of my young life tirelessly honing my craft, leaving my small hometown to attend design school in the city and make my dreams a reality. Growing up in Townsville, North Queensland was limiting in some ways, yet beneficial in others - there is a real sense of community that gets behind you to support, however there can be less opportunities, especially as someone just starting out,” explained Cassandra. Cassandra also spoke of how formal studies drew her to the Gold Coast, though not a prerequisite for every business owner, it allowed her to meet an amazing network of people. She felt what many do when they move to the coast: the hustle is very real, and you must learn to stand on your own. The other lesson? Nothing good comes easy, and balance and sacrifice is part and parcel of following the ‘dream’ – as is learning the process from the bottom up. Cassandra elaborated,“After moving to the Gold Coast, I was lucky enough to get my first 'fashion job' while still completing my studies. I started off in quality control and progressed to design and product development. Launching a business is hard work - the hustle of balancing full-time work to support myself and finding the time to grow my brand was very difficult for quite a few years.There was lots of coffee and not so much sleep!” We also spoke of the importance of representation and diversity in the fashion industry: it’s a mantle that brands the world over are being asked to uphold.There is a power brands have to create communities, inspire women of different shapes and sizes, and an opportunity for them to be role models in the way they fulfill their responsibility to partake in ethical manufacturing. For Lazy Girl Lingerie, this means ethical manufacturing, making a positive contribution to the fashion industry with its inclusive design and letting the love shine through. ‘’So much love, time and hard work has gone into the creation of not only each design but also my brand as a whole. Every stage of the process is carried out by me - I dream up new designs in my sketch book, make patterns, sew samples, cut and sew orders, answer emails, co-ordinate photoshoots, and manage my website. It's a big job, but when I hear back from my customers that something I made had the power to make them feel so special and helped them celebrate their body, it makes it all worth it,’’ said Cassandra. Did you know that you can contribute up to $25,000 (including the employer's contribution) into super? loan? If so, do you have equity in your home? Well, if you answered yes, consider this: for the right people, a debt recycling strategy can be extremely beneficial for many reasons. Imagine being in a position where investing in assets - managed funds or shares can be achieved using the equity in the home - and the income earned from these investments, can be used to reduce the non-deductible home loan debt faster. With each cycle, the home loan debt reduces faster, and the investment loan is increased, acquiring more investments where the loan is 100% tax-deductible. Debt-recycling is a great strategy if advised correctly to pay off your home faster and build wealth tax-effectively. Tax-effective bonds have become an extremely valuable strategy for the right situation. The money within these bonds has internal taxation, and after ten years the money is 100% tax-free. There are many situations where these bonds can be used to ensure that your wealth strategy has the right diversity and balance to build wealth, save tax and become more financially secure faster. As always keep smiling, if you need to ask any questions feel free to reach out and set yourself on a positive path for the future. HOW TO ENTER: Spend $20 in store at Our Pool Shop and go into the draw. GET READY FOR WINTER.. COME AND CHECK OUT OUR NEW DISPLAY SPA IN STORE. Dairy-Free Down Under was born from owners Kevin and Jenny Flanagan’s desire for their family of five to all sit around the table and enjoy the same meal, despite one of their daughter’s intolerance to dairy. The company is a 100 per cent family-owned Australian business, headquartered at Carrara, Queensland, employing 30 Gold Coast locals. It’s the only Australian owned large-scale manufacturer of dairyfree cheeses and dips that has been successfully commercialised for the retail market. The Dairy-Free Down Under philosophy is about inclusivity and a belief that everyone deserves a seat at the table – it doesn’t matter if you’re dairy-free, vegan, flexitarian or “lessatarian”. Their growing product range includes mozzarella and cheddar-style shreds, cheddar-style blocks, mozzarella slices, cheddar slices, cashew cream cheese, cashew parmesan, aioli, mayo, sour cream and cheese and cracker snack packs. Dairy-Free Down Under’s products offer almond, cashew, soy and coconut options to cater for various allergies – all products are also GMO-free. Products are available at IGA, Drakes, Foodstore, Flannerys, GoVita, other independents and Costco. Healthy Mexican food chain Zambrero uses Dairy-Free Down Under’s Vegan Sour Cream nationwide across its 180 stores. JENâ&#x20AC;&#x2122;S CAPRESE SALAD SERVES 4-5 Ingredients 1/4 cup of extra virgin olive oil 1/4 cup of freshly chopped, fresh basil 1 packet of Dairy-Free Down Under Mozzarella Style Slices 3 ripe, juicy tomatoes 3 tbsp of balsamic vinegar (regular, white, or golden) Kosher salt and freshly ground black pepper, to taste Method Slice tomatoes into round circles. Cut the Mozzarella Style Slices into circles with a cookie cutter to match the same size of the sliced tomatoes. Layer the Mozzarella Style Slices and tomatoes evenly on the platter. Drizzle the virgin olive oil or balsamic over the top and season to taste with salt and pepper. Jen’s Tomato Sauce: Ingredients: 1 tin of crushed tomatoes 2 tbsp of tomato purée 2 garlic cloves 1 small brown onion finely diced 2 tbsp of Italian mixed herbs Pinch of salt and pepper Method Fry onion, garlic and herbs together until soft. Add tomatoes and purée. Stir well, season and cook for a further 10 minutes. Check seasoning. Liquidise and allow to cool slightly before using. Assembly of the pizza Place 2-3 tablespoons of tomato sauce on each pizza or to taste (spread evenly). Place your favourite toppings on top of pizza. Scatter Dairy-Free Down Under Mozzarella Cheese Shreds over the top. Put into oven and bake on 200°c until Mozzarella starts to melt. Then, put under the grill until it browns. This is an important step and key to creating that “gooey” cheesy texture. Pull out and top with basil leaves. Ingredients Your favourite bun (can be gluten-free) A mixture of fresh veggies like grated carrot, beetroot, crispy lettuce, thinly sliced tomatoes and crunchy cucumber Vegan pattie (available at most supermarkets and independents) 1 packet of Dairy-Free Down Under Cheddar Style Slices 1 bottle of Dairy-Free Down Under Aioli Method Cook your veggie pattie. Spread the Dairy-Free Down Under Aioli on each side of the bun. Layer the bun with one or two slices of Dairy-Free Down Under Cheddar Style Slices. Add all the yummy vegetables. Ingredients Base 500g of cooked adzuki beans (can be tinned or soaked and boiled, according to packet instructions) 1 medium brown onion diced finely 1 large carrot diced 250g of mushrooms (I use large white flat or portobello) 1 tin of crushed tomatoes 2 tbsp tomato purée 2-3 tsp mixed herbs 2 garlic cloves (optional) 2-3 tbsp olive oil or any suitable cooking oil even Nuttlex 1 1/2 cups quality vegetable stock Salt and pepper to taste 1-2 tbsp chickpea flour to thicken, mixed to a paste before adding. Topping 3 large potatoes 100-125g Dairy-Free Down Under Cheddar Cheese Shreds 3 tbsp rice milk or any nut milk Salt and pepper to taste 2-3 tbsp of Dairy-Free Down Under Parmesan cheese Method Peel and dice onion. Peel and dice carrot. Wash mushrooms and cut up roughly. Fry onion, garlic and herbs for two mins over a moderate heat. Add carrots and continue to cook for a further minute. Add mushrooms, stir well and cook over a low/moderate heat until mushrooms soften. Add tin of crushed tomatoes and the tomato purée. Stir well. Simmer for about ten minutes until the vegetables are cooked. Season, taste and add more salt and pepper as necessary. Add the cooked beans and stir through. Add enough vegetable stock to just cover the mixture and mix. Bring to a simmer. Thicken by sprinkling over a tbsp of chickpea flour and stirring it well until thickened, use more if necessary. Peel, boil and mash potatoes. Add grated cheese and enough milk to get a creamy mash texture. Check seasoning. Place the bean mix in dish. Top with mash. Sprinkle over parmesan cheese. Bake in Oven at 190°c fan until top is golden and crispy. This will take about 25 minutes then to finish put under grill to bake golden brown. h da il y . Ma d e f re s p in g s . top C h o ic e of 99 Fr o m $ 1 1 .
chop? How three teenagers created a legacy for cancer fundraising uring her senior year at St Margaret’s Anglican Girls School in 2015, Meg Fraser’s mother was diagnosed with breast cancer. Knowing her family wasn’t the only one affected, Meg approached her fellow prefects, including Beth Flint and Annabelle Crossley, to find a way to make a difference. “We wanted to find a way to get all the girls involved in a fundraiser to raise money for something that had affected a lot of families in the school community,” Meg says. “At the same time Meg’s mum was going through breast cancer, my grandmother had breast cancer as well, so this was something we really felt like we had to do,” Annabelle says. THE SURROUNDS SUMMER SOCIAL On March 9 The Surrounds by Villawood partnered with NightQuarter for an evening of festivities for the whole family! The event was also NightQuarterâ&#x20AC;&#x2122;s final hurrah in Helensvale. Kids enjoyed face painting, balloon artists, a jumping castle, clown show, dance party, and roving performers, while the adults enjoyed live music as they sipped on craft beers, local wines and summer cocktails at the Spritzer Bar; which offered prime position to view the fireworks. Let us handle your social media platforms so you can focus on what you do best: your business! More affordable than you think and tailored for your needs! Only as important as your businessâ&#x20AC;&#x2122; reputation! Manage what your customers are saying about you online! Boost your visibility online and be ranked above the competition! 2019â&#x20AC;&#x2122;S HEART OF WOMEN AWARDS Agape Outreach Inc. held its major fundraiser for the year, the prestigious 2019 Heart of Women Awards, at Palazzo Versace on March 9.This year's theme was White & Diamonds.The annual awards recognise inspirational women from the Tweed and Gold Coast regions making a difference in the community across 12 categories including Woman of the Year,Young Woman of the Year, Entrepreneur of the Year, Creative Arts, Environmental, Child & Youth Services, and many more.The MC for the night was Susie Holt from Juice 107.3 FM, and guests danced the night away to music from "That Seventies Band". Photographer: Hayley Loughland. Subscribe to Get it Magazine, the Gold Coastâ&#x20AC;&#x2122;s favourite monthly magazine. Get your horoscope Greg Summer Greg Summers is an empath, healer, intuition consultant and astrologist based in Sydney and regional NSW. He runs workshops, consultations, one-on-one alignments, and offers a comprehensive life-coaching seminar annually. Find him on Instagram at @GregSummersHealing and for more personal consultations. Only as important as your business’ reputation! Manage what your customers are saying about you online! Plan your 2019 escape Stay 3 nights or more and receive 20% off when you mention Get it. * Conditions apply. Available for new low season bookings staying 3 nights or more before 31/7/2019, subject to availability.